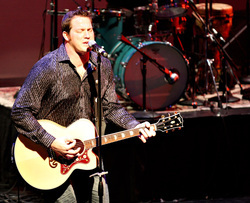 Craig Terrill played defensive tackle for the Seattle Seahawks from 2004-2011 and now he plays music on stage with The Craig Terrill Band. The Craig Terrill Band is made up of some of Seattle’s best musicians. Together, they’ve released two original albums (CT and Genuine) and they play throughout the Pacific Northwest. 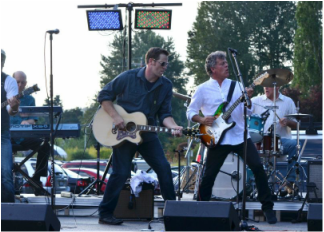 The Craig Terrill Band plays original American Rock songs and they cover a variety of classic rock and americana tunes. Craig Terrill Band's shows are passionate and lively. Craig credits a post-Super Bowl jam on stage with Seahawks team owner, Paul Allen, as jump starting his music career in Seattle. Craig Terrill played defensive tackle for the Seattle Seahawks from 2004-2011. Musically, Craig has performed on stage with Garth Brooks in Las Vegas and at The House of Blues in both Chicago and Orlando. He sang the National Anthem at a Seahawks playoff game in 2006 and he opened for Seal with Paul Allen's band at the WAMU Theater in 2006. His music is influenced by Bruce Springsteen, John Mellencamp, Bob Seeger, Tom Petty, and others.